After weeks of feasting on cheese, wine and chocolate throughout the festive period, it’s no wonder that many of us choose to adopt healthier eating habits come the New Year. However, if you’re already sick of eating rabbit food, the Jewellery Quarter has countless places where you can treat yourself to something yummy and perhaps a little bit naughty. So, whether you’re just having a cheat day or want to break your New Year’s healthy eating resolution for good, here are some of the best culinary destinations the JQ has to offer that are bound to tickle your taste buds. 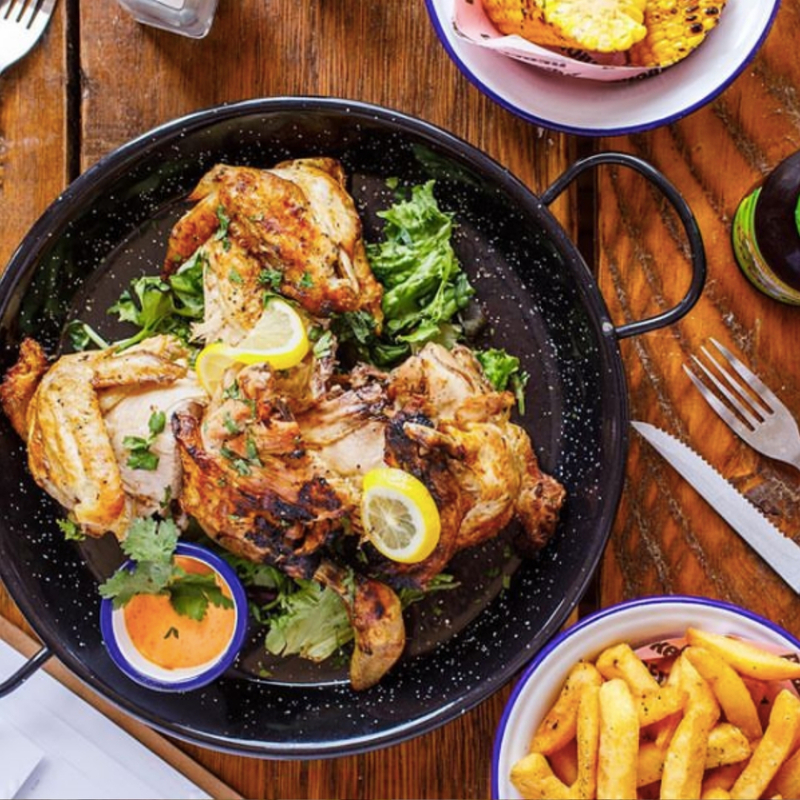 You’ll never want a cheeky Nando’s again after eating at the Jewellery Quarter’s newest chicken restaurant, Rebel Chicken. Their succulent, marinated chicken is charred to perfection on a bespoke built charcoal rotisserie and can be enjoyed on its own or in a burger or wrap, along with a range of tasty sides. 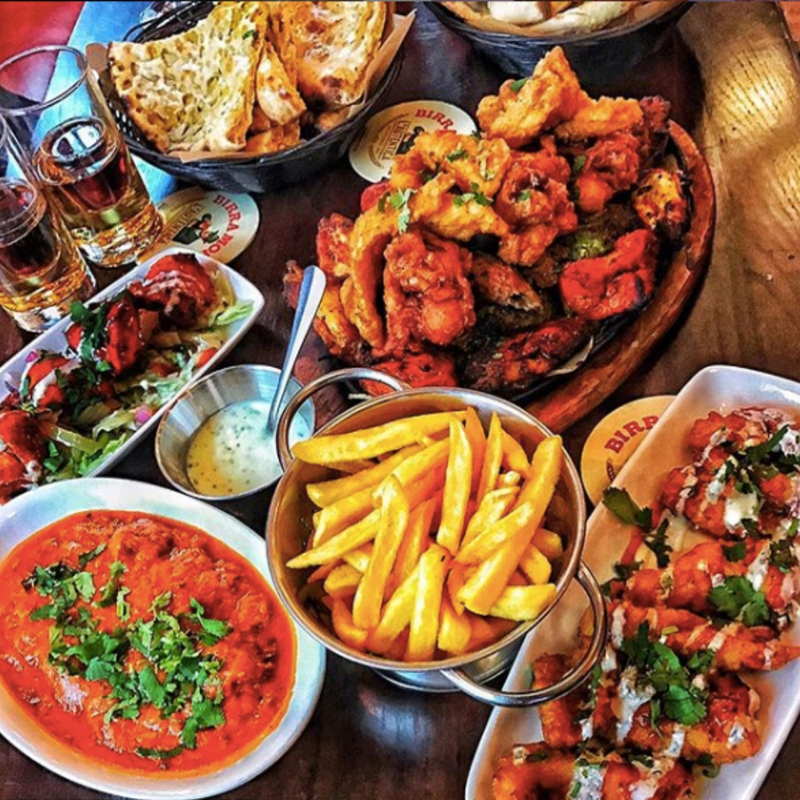 A kilo bucket of their rebel wings, smothered in hot sauce is our definite favourite! 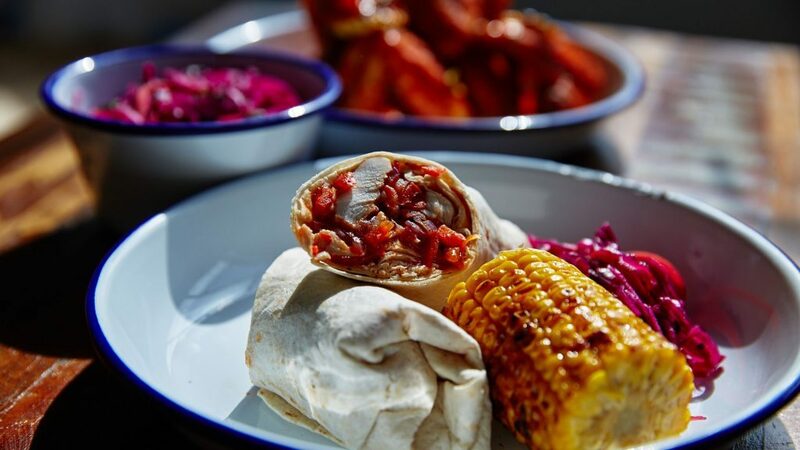 Despite their name, Rebel Chicken also offers beef, halloumi and veggie burgers for those of us who might want to sidestep chicken for whatever reason. Whether you’re eating for lunch or dinner or just want to pop in for a drink, there’s something for everyone. As well as great food, you’ll also have cool, industrial style interiors, an amazing beer garden and regular evening DJ sets to enjoy- what a treat! If you don’t have time for a sit-down meal but want something that will spice up your lunchtime, Salcooks is an obvious choice. 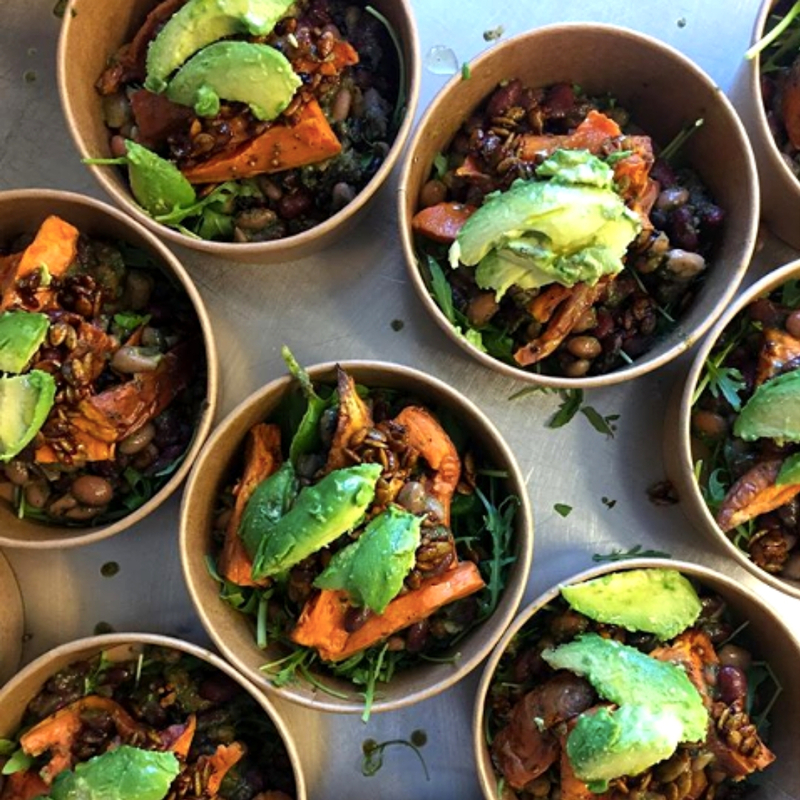 Despite only being in business for five months, this pop-up café, which serves takeaway lunches that combine British and Portuguese cuisine, has become the go-to place for hungry workers. From sweet treats and cakes to savoury pies, stews and sandwiches, their selection of lunchtime treats are bound to leave you feeling inspired. Not only that but their menu changes daily so you’ll never run the risk of getting bored of having the same thing day in, day out. Try their pork and chorizo croquettes for a delicious snack you can eat throughout the day at your desk. Love pub grub but don’t fancy going to Wetherspoons? 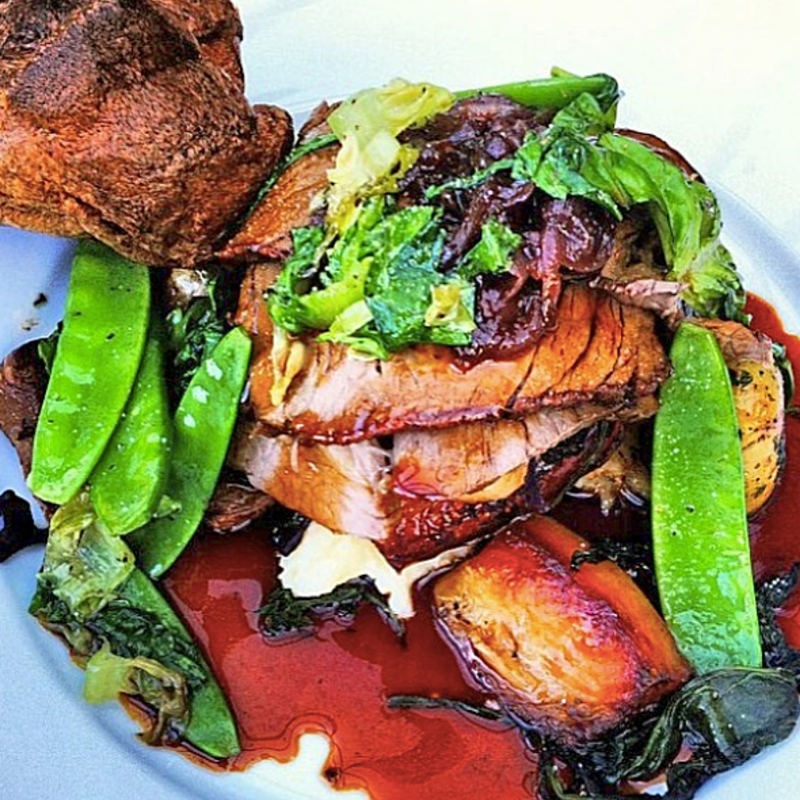 The Red Lion is the perfect foodie haunt for you! With ever-changing weekly specials, they offer a wide range of pub classics, ranging from full English breakfasts to beer battered haddock & hand cut chips, but each with a modern twist. They pride themselves on using only the finest local and seasonal produce around and offer options for meat-eaters and vegetarians alike. You absolutely must visit on a Sunday to taste their award-winning roast dinner, which will help you end the weekend on a high. As an extra treat, the Red Lion is also home to the UAB art gallery which showcases work from street artists such as Banksy, Nick Walker and Dolk. So you’ll be treated to a feast for the eyes while enjoying a scrumptious breakfast, lunch or dinner. Hands up if you love noodles? We know we do and our favourite place to get our noodle fix in the JQ is definitely Lucky Duck. 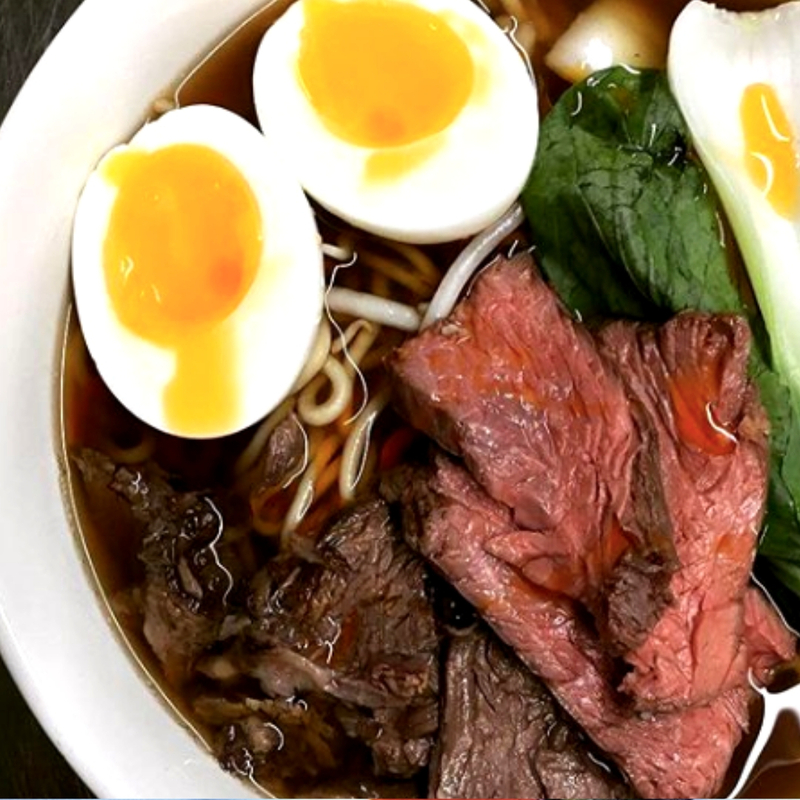 They serve dainty bowls of Asian-style broths with homemade noodles, which make for a quick yet enjoyable lunch or dinner time treat after a busy week. 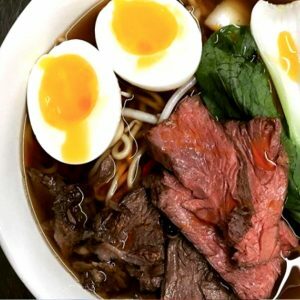 We’re currently loving their Ox cheek pho, rare beef and bean sprouts noodle bowl- but we could have a new favourite soon, thanks to their ever-changing menu. If noodles aren’t your cup of tea, Luck Duck also offers a range of steamed bao buns, which make for a lighter, burger alternative. Try their Duck Leg, Ponzu, Spring Onion bao bun and have your mind blown! Need something small and quick yet still delicious this lunchtime? Try Pig and Tail, a tapas style restaurant bar where they encourage casual grazing over formal sit-down meals. You’ll be eating the best locally sourced produce and have the option of ordering from their selection of simple, yet exciting fish, meat and vegetable plates. You can then wash it all down with one of their craft beers, gins or cocktails. 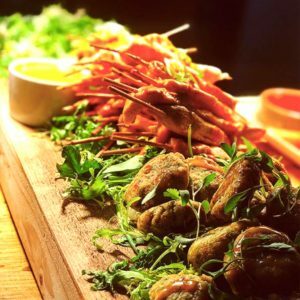 We personally love their fish board, where you can nibble on a selection of cod, prawns, salmon, with bread and salad, to your heart’s content. Trust us, it’s delicious! With its laid back, vibrate atmosphere, it’s the perfect place for a casual lunchtime meeting or after work treat with your colleagues. There’s no better way to banish your healthy eating regime than with a curry. Despite having a lot of competition, we think that the JQ’s Hen and Chickens is the best of the bunch. Voted one of the top ten curry houses in Birmingham, it’s a hidden gem that has garnered quite the reputation with JQ locals, thanks to their award-winning traditional, homemade curries. Whether you love a mild Korma or prefer the spice of a Madras, we can guarantee that you’ve never tasted them like this before! We recommend the Lamb Jalfreezi if you’re a meat eater and the Tinda Sabji for the vegetarians amongst us. Their comfortable, modern, pub-style surroundings also help to create a laid back dining experience that you and your colleagues will love. But if you can’t make it to the restaurant itself, they will deliver right to your office. Winner!